At Grassy Plain Summer Club, summer is the time for ADVENTURE, EXPLORATION and FUN! Our FABulous program centers on three areas proven to impact kids’ development: Friendship, Accomplishment and Belonging. 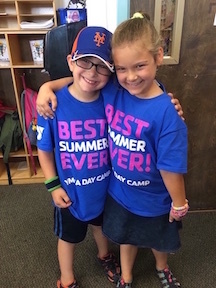 Our highly trained staff helps campers’ ages 5-12 realize that the Y is a place where they belong and can be themselves while trying new things, building new skills and making new friends. Campers are encouraged to pursue their interests through daily activities and theme weeks culminating with: an in-house special enrichment program or an inflatable amusement such as the ever-popular 18’ water slide. 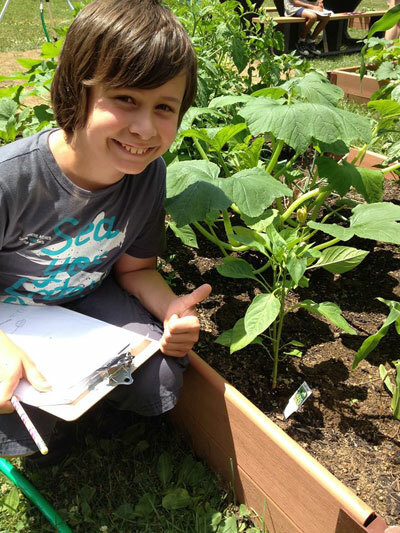 There are opportunities to connect with nature and spend time outside being physically active participating in experiences that influence lifelong healthy habits and also opportunities to keep skills fresh all summer long with fun, engaging literacy and math activities. There are opportunities to foster campers’ creative abilities such as Art, Drama and Writing and ones to inspire wonder and ignite creativity through weekly STEAM projects. But most importantly, there are opportunities to reconnect with the simple joys of being a kid: Swimming, Laughing, Singing, Dancing, Crafting, Discovering, Swinging, Sliding, Hiking, Playing and more! At Grassy Plain Summer Club, the recreational and educational activities offered daily nurture the potential in every camper, building self–esteem, leadership skills, lasting friendships and treasured memories. Be a part of our community! Sign up for one week or all of them; either way your child will have THE BEST SUMMER EVER! The structured camp day runs from 9:00am - 4:00pm Campers will follow a daily schedule of activity blocks with their peers in their camp group. Each theme week culminates with either a field trip, in-house special enrichment program, such as a visit from Curious Creatures and Ocean Rock, or an inflatable amusement. The extended care between 7:00am - 9:00am and 4:00pm - 6:30pm consists of outdoor playground and field games. In-house activities or field trip every Friday! Pre and Post Camp: Camp open at 7a.m and closes at 6:30p.m. No additional fee. You can register in person at our facility at 57 Grassy Plain Street in Bethel anytime. Convenient, downloadable registration forms can be found on this site. You will also need a current physical on the State of Connecticut blue form. 6/17 Protectors of the Universe - Get out your capes and tiaras and get ready to protect the Y Universe! We will have a visit from various local superheroes and write letters to the military and other superheroes! On Friday, we will participate in a special Ninja Warrior Junior Course. 6/24 Welcome to the Hidden Temple - Officially kicking off our camp will be a week spent working together to complete various challenges and games. Join the Purple Parrots, Red Jaguars, Green Monkeys, Silver Snakes & Blue Barracudas as they guide us through the Legends of the Hidden Temple. To finish off our week, we will be doing a special inflatable obstacle course! 7/8 Cosmic Carnival - Step right up to our week of all things cosmic and all things carnival! We will combine space themes with carnival themes and have a COSMIC CARNIVAL at the end of the week with games and treats. Our Camp Carnival is sure to be ‘out of this world’. 7/15 The "Magic" of Science - Throughout this week we will do various magical science experiments. We will uncover the secrets behind how things work! On Friday, we will all be WOWED by a wonderful magic show. 7/22 Game On - Let’s get ready to rumble! During this week, campers will train all week for the main event! We will learn about different sports and from around the world (including America), and bring the Olympics right here to the Y. On Friday, we will take a trip to the Danbury Sports Dome. Don’t forget to bring your team spirit! 7/29 Just Keep Swimming – Dive into this fun week with some beach and water themed activities. Activities include Super Soaker Day, a water balloon toss and on Friday we will have one of our camp favorites: the inflatable waterslide! 8/5 Camp Casting Call - Welcome to the YMCA Walk of Fame! We will cook, do trivia, tackle challenging math problems, sing, dance, juggle and anything else that our campers have a talent for! On Friday, we will take a trip to the movie theaters and have a camp-wide talent show! 8/12 Color Games - Everybody loves a little friendly competition! Bring your team pride to camp this week as we earn points for our group. Wear your group’s color all week and show your spirit! On Friday, we will have GIANT board games and a moon bounce. We will be closing out the summer with a BURST of color! How are campers assigned into groups? In early June, campers will be assigned a group. We have 4 groups total and campers are divided according to age/grade. Group 1 will be about 5-6 years old, Group 2 will be about 7-8 years, Group 3 will be about 9-10 years and Group 4 will be about 11-12 years. How many campers will be in my child’s group and how many counselors? Each group can have up to 20-25 campers and there is a 1 counselor to 10 camper ratios per CT Department of Public Health Regulations. There will be at least 2, and sometimes 3 counselors assigned to each group. What does my child need to bring to Summer Cub each day? Campers should bring a water bottle and lunch each day (unless you have purchased lunch on one of our special days when lunch is offered), and a swimsuit, towel and water shoes on swim/sprinkler/waterslide or water game day. Please be sure to apply sunscreen at home each morning and make sure we have a labeled bottle of sunscreen kept at Y to be reapplied during the course of the day. Can my camper wear sandals or flip flops to Summer Club? We ask that campers do not wear flip-flops, but rather wear either sneakers or rubber soled, strapped sports sandals so they can participate in all activities safely. Does your Staff have experience working with children? Most of our staff are seasoned employees who work year round at our center. In addition to our year-round staff, we hire a few additional staff, usually college students pursuing their education degree. We also have college students who return each summer. All staff undergo rigorous training in the areas of Safety and Supervision, CPR, First Aid, Administration of Medication and Epi Pen training, Summer Programming, Mandated Reporting and Positive Discipline to name a few. 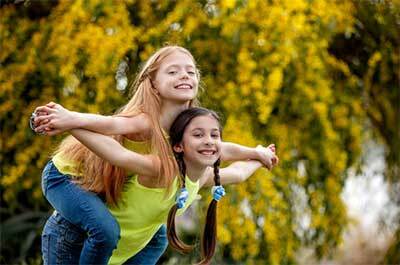 Can my child take medicine at Summer Club? Yes, most of our staff is trained per State of CT Department of Public Health regulations to administer medication. In order for medication to be administered, an Authorization to Administer Medication form must be completed by a physician and the parent, whether it is prescription or over the counter medication. Medication, the Authorization form and a plan of care must be handed to staff to review and store, per state regulations. Campers may not hold their own medicine. Does the Y provide a snack time each day? A healthy snack and either milk or water is served each morning and afternoon. Lunchtime is an important part of a child’s day. It provides a great opportunity to teach and reinforce good nutritional habits. We ask that you pack a lunch with healthy choices and limited sweets with a non-sweetened beverage such as water, milk or 100% juice. 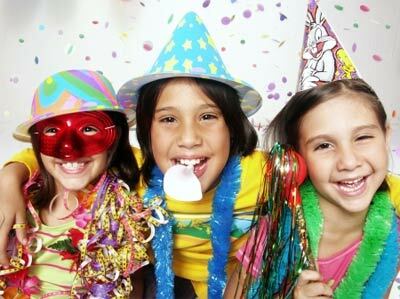 Can I celebrate my child’s birthday at Summer Club? Children enjoy treating their friends to a special treat on their birthday but we ask that only healthy treats be shared. Examples include mini-muffins, fruit bars, whole fruit, fruit salad etc. All snacks brought from home for sharing must be either whole fruits or commercially prepared foods in factory-sealed containers with an ingredient label. Please discuss with your child’s counselor in advance any specific plans you may have. Does Summer Club offer specialty lunch days or cookouts? Grassy Plain offers lunch for purchase about twice a week and at least one cookout day free of charge. Please refer to the packet you receive when you register for more info. Where do you hold your swim program? We travel to our Greenknoll Branch outdoor pool in Brookfield for recreational swim via YMCA buses. How do I pay my weekly tuition? Tuition is due on Friday for the following week. We accept cash, checks or credit cards. What fees are due to register? There is a $280 deposit, which goes towards your last week and a $35 enrollment fee due upon registration. Is there a discount if I have more than one child in the program? There will be a 10% discount on the sibling’s tuition. Please note that Care For Kids and scholarship recipients do not receive the 10% discount. Does the Y provide tuition assistance? The Y provides tuition assistance to our year round families that qualify and some to our Summer Club only participants on a very limited basis based on availability. Families can inquire and request scholarship applications and they must be returned by April 15 in order to be considered for a scholarship. We also ask that families seeking tuition assistance apply to the state subsidy program, Care 4 Kids. We have applications here and can help you with the process. iPods, Nintendo DS's cell phones and other electronic devices are not allowed at camp. If your child brings these items to camp they must remain in their backpack and not be used. The Y is not responsible for loss or theft or damage to any item brought from home. Can I visit my child while they are at Summer Club? We welcome any family involvement. Families are invited to come share mealtimes, a craft or cultural project, or if enrolling a camper for the first time to spend extra time until the camper is comfortable. What if I want to check in during the day to see how my camper’s day is going or speak to my child’s counselor? We encourage open communication! Each classroom has a phone and the Administrative Assistant will transfer the call to the appropriate extension. If the group is at an activity, outside or out of the building on a trip, you can leave a message and your call will be returned. What if I need to send someone else to pick up my child? As long as the alternate pick up person is listed on your registration form and has a photo ID for verification purposes we will be able to release your camper to that person. You may list 2 people on your registration form and there are forms in the office to add additional people. If you need to send someone who is not listed on the form, we would need written notification from the parent giving permission for the alternate person to pick up. Faxes are permissible.